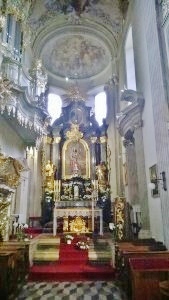 Church of St Andrew: A Sanctuary for the People of Krakow. The Church of St Andrew, also known as the Church of the Clares, is one of the oldest and most significant temples in Krakow. Located in the famous Grodzka Street, you could easily pass by it unknowingly, on the the way from the Main Square to the Wawel Castle. Unfortunately this church is one no-one remembers. 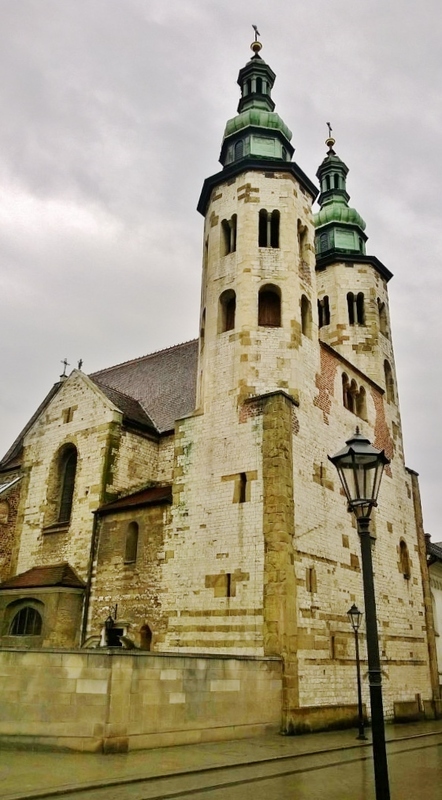 The church was built between 1079 and 1098 during the reign of duke Wladyslaw I Herman. The first brick to be put in place was by either the Duke himself or by his palatine Sieciech. 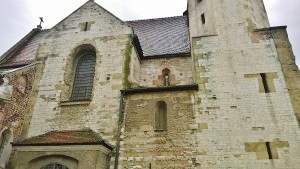 Originally the temple was probably in reverence to St. Gilles. Bringing this cult to Poland and making it popular was the work of Herman’s first wife, Duchess Judith of Bohemia. The devotion to St. Andrew came about in the first half of the XIII cent. The construction of the temple wisely contains elements of a stronghold alongside its clerical design. So in the event of a hostile attack on Krakow, it would prove safer and stronger. The reason for this was that the church was sitting outside the city walls, on the way from the city to Wawel Castle. 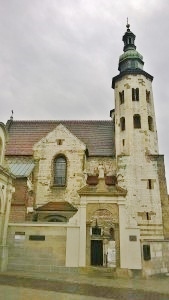 The church served as a sanctuary for the inhabitants of Krakow many times, especially in 1241 and 1259 during the Mongol invasions of Poland, burning the city to the ground. Each time the temple and the people inside survived the siege and were the first ones to rebuild the city. 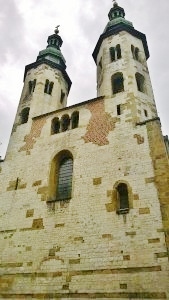 In 1320 King Wladyslaw I the Elbow-High, probably under the strong influence of his wife Jadwiga, passed the church to the Clares and organized a convent next door. Having been repeatedly redeveloped and adapted over time to many architectural styles, after the second World War the church was partially restored to its original appearance. Address: Grodzka 54, 31-044 Krakow. Opening hours: Every day from dawn till dusk. Mass: Sundays and holidays 7am, 10am.